Tapware and sink accessories are a great way to add both form and function to your kitchen design. Gone are the days of the standard stainless steel sink! Take a peek below at our favourite tapware trends for 2018. 2017 saw brass and gold taps rise in popularity, however, 2018 sees a return of more traditional silver and chrome fixtures in the kitchen. These tones deliver a slick industrial feel and can work with a variety of different styles from rustic farmhouse kitchens, to more sophisticated modern designs. In stark contrast to their sleek chrome and silver counterparts, matt fixtures are also making a kitchen comeback. Whether they’re paired with aged timbers, or stone countertops, matt tapware can give your kitchen a stylish twist. If the matt look is still a little too adventurous for your tastes, you can also look at a brushed finish which is a subtler take on the matte trend. Long gone are the days of the simple kitchen tap. 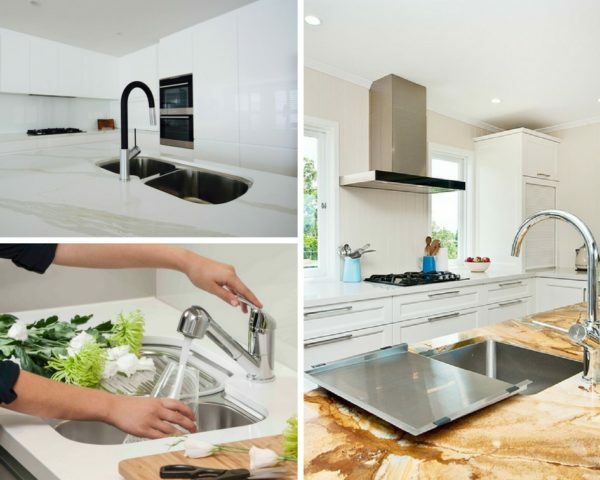 There are now many tapware designs that include handy features such as pull out nozzles, swivel heads and mixer functions to help you get the most out of your kitchen. From cleaning, to food prep, these intuitive features allow you to work faster, not harder. With aging plumbing comes the problem of declining water quality. 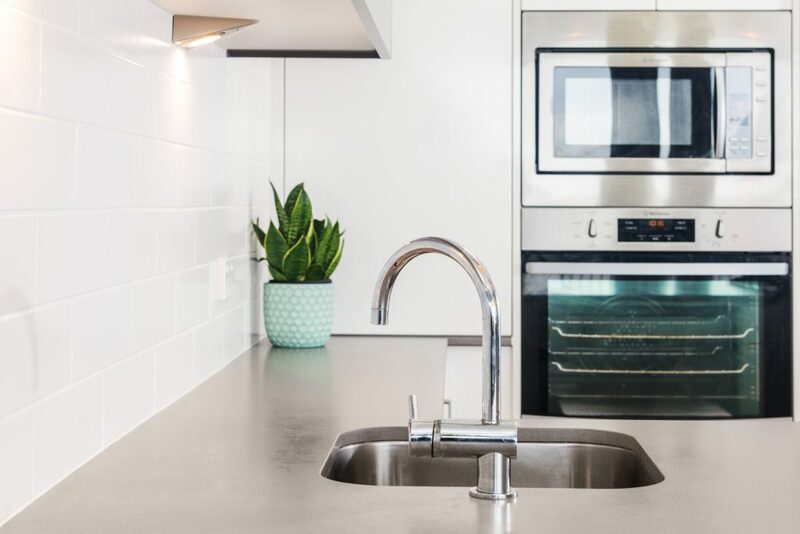 Many people are now opting to install filtration systems in their kitchen to allow ready access to clean filtered water. The beauty of these systems is that they can be easily used by anyone is the home, including the kids. Need to order a replacement filter cartridge for your inline water system? Click here and order through our convenient online system. 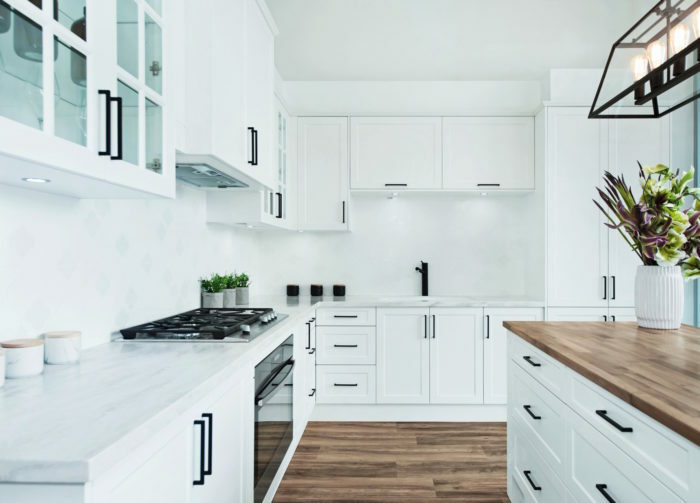 Ready to start planning for your new kitchen? Book your free kitchen design appointment here.